Createx Wicked Colors are made with a highly durable binder suitable for direct exposure in exterior conditions. 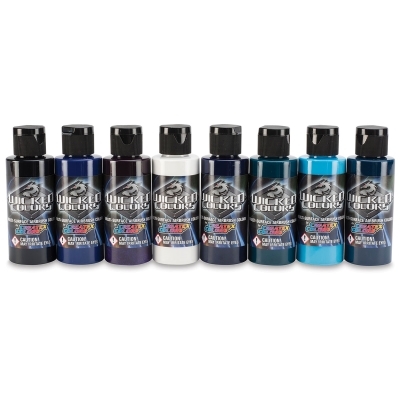 Standard Wicked Colors dry to a semi-gloss finish. Wicked Detail Colors dry to a flat finish. 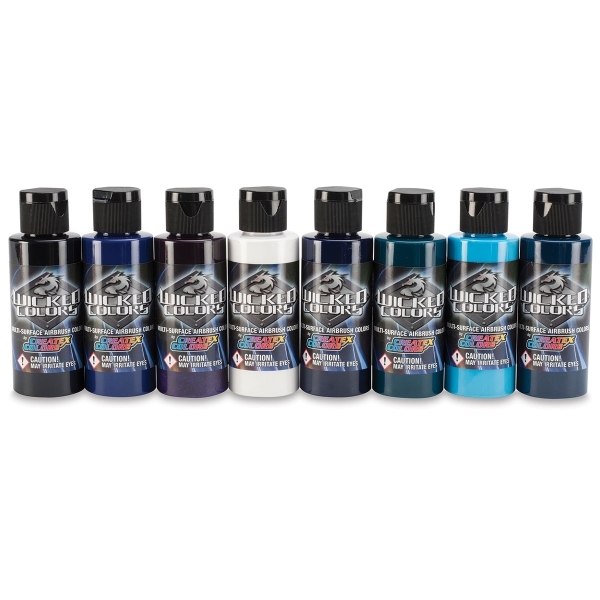 The ultimate collection of cool hues, this set includes 2 oz bottles of W006 Violet, W008 Deep Blue, W013 Laguna Blue, W058 Detail Blue Green, W060 Detail Viridian, W061 Detail Cobalt Blue, W050 Detail White, and W051 Detail Black.